The Anderson's Adventures: Transfers! 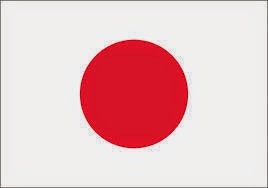 The Big One! President and Sister Sonksen got matching ties for all the office elders! Two of these elders returned home this week and two were transferred to other areas. Don't they look great? 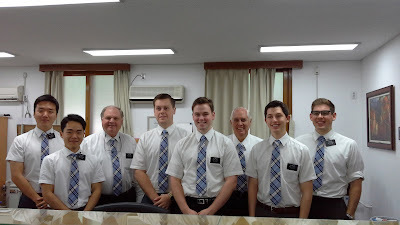 We had another temple day on Tuesday, then we received new missionaries from Provo. We have one new elder and two sisters. 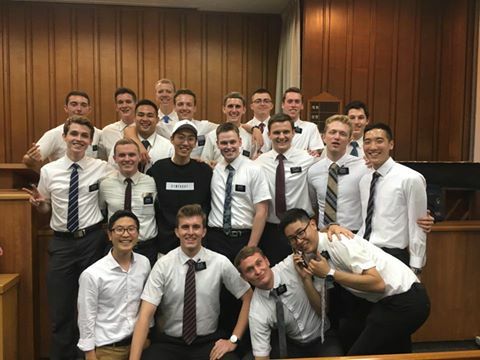 Plus a Korean elder who is waiting for a visa to go to the MTC. He is assigned to the Durban South Africa mission, where my cousin and his wife Elder and Sister Petersen are serving as the office couple. This is the group of elders returning home. Wow! This was taken after their testimony meeting the night before they traveled home. We've been dreading this transfer for some time. That's going to leave a mark. Plus we lost some sisters. 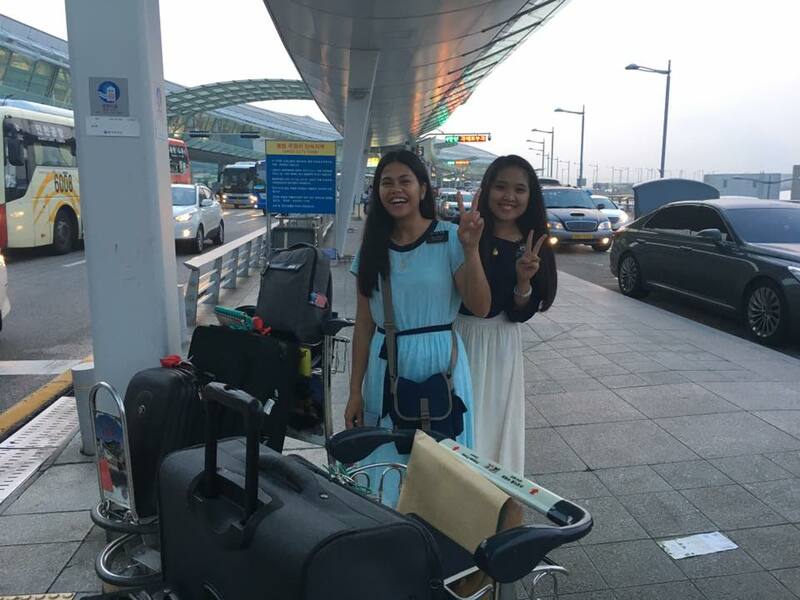 Two Korean sisters were picked up by their parents. These sisters' plane left early Thursday to go to the Philippines. We're going to miss them all! The plane from Seoul to Seattle was delayed three hours, so it was an extra long trip home for those missionaries! There's always a few hiccups, but they all made it home. 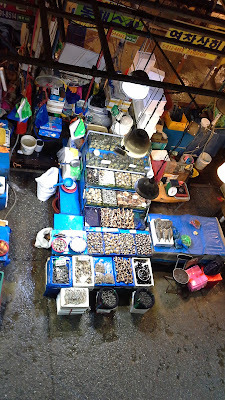 Alan has been wanting to visit the Seoul Fish Market ever since we got here. So we decided to go Saturday morning. Our A/C was not working well and the repair guy was coming in the afternoon, so we took off. We entered at the second floor, so we could get a look from up above. It was a major let down for him. He was expecting to see lots more varieties of fish, but we can check that off the list now. The fish market in Japan was practically brand new. Well that's because the old one was destroyed in the tsunami. 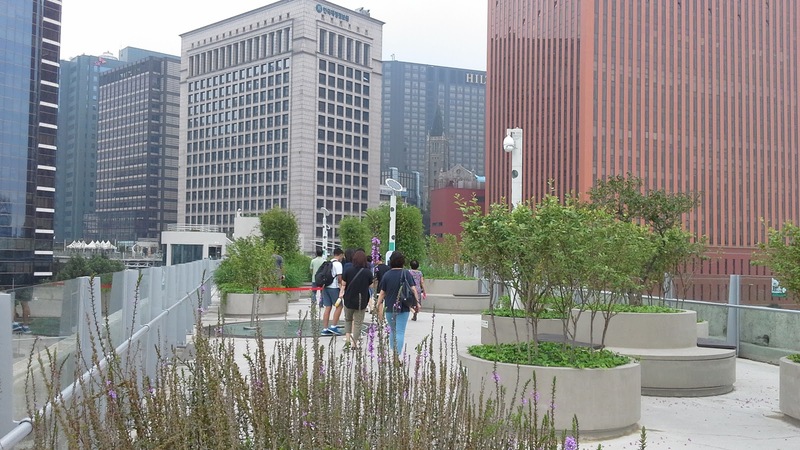 They recently opened this new park near Seoul Station. 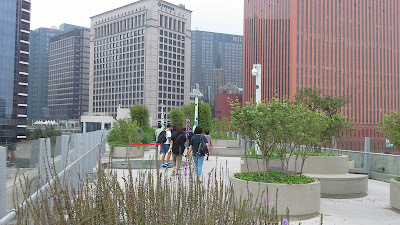 It used to be an overpass (for cars) and now it is a walking park. There's a good view up here of the old Seoul Station and the new one on the left. 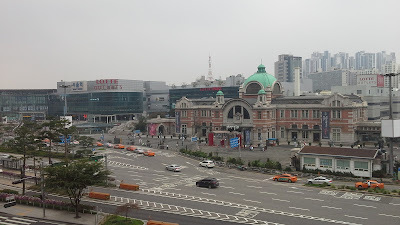 There was also a good view of the old city gate, but apparently I didn't get a photo of it this time. On a week day, the traffic is much worse than this! 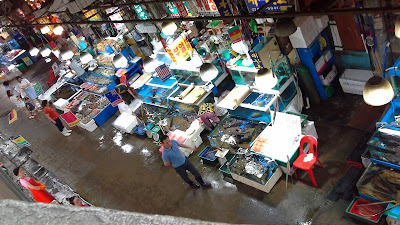 And at the end of the walkway, we came down near one of the fun markets, Namdaemun, so the day turned out OK. And the a/c guy came to rescue us from the heat. At church today we had some interesting talks about pioneer ancestors. One was about an ancestor in Indonesia, another about the Philippines, and also one from Yonkers, New York! We have lots of variety here. Plus, we got to see some familiar faces from Tucson today. 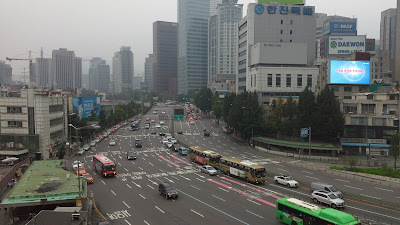 Brother and Sister Hildebrand from Rita Ranch Ward are visiting their children and grandchildren who are living in Seoul! It was fun to reconnect. 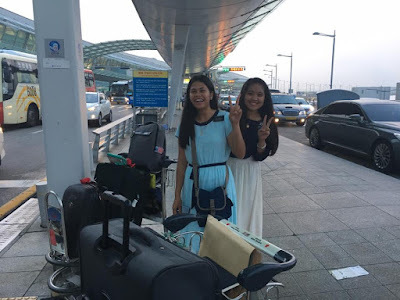 We also have a new senior sister and a senior couple that arrived Saturday to serve in the Seoul Temple. They are at the beginning of a wonderful experience. 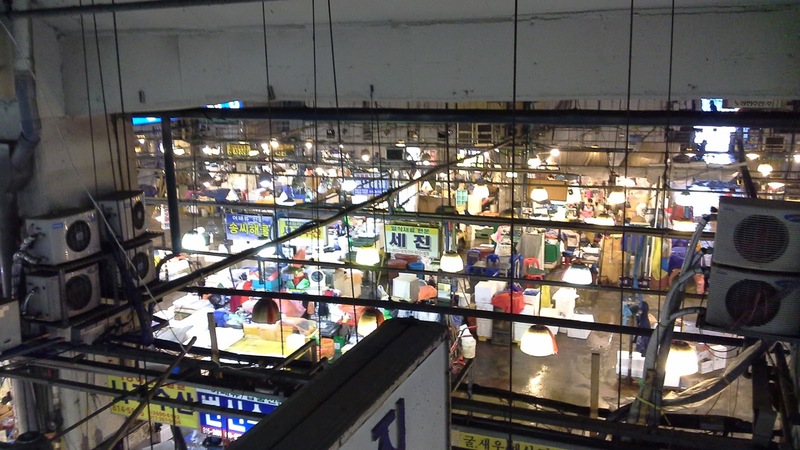 Since none of them speak Korean, it will also be a bit of culture shock!